In these unique, small-group sessions, Dr. Justin Ross, a sports psychologist in Denver, will lead you through three separate stages of integrating a high-performance mindset into your training. Each session is 90 minutes and will have four other participants, max. It’s in a webinar format, so you’ll be able to interact with Justin and your fellow attendees. Enough time, yet few enough participants, that your personal concerns can be heard and addressed—while also allowing you to benefit from hearing about other women’s situations. During the 90-minute session, we’ll split the time between presentation and questions from you, making sure we’ve got plenty of time to address your individual needs. After the session, we’ll make the webinar video available to you so you can watch (again and again) at your leisure. You can attend one, two or all three. Individually, they are valuable to address individual needs; as a package, they help create a comprehensive high-performance perspective. NOTE: Check availability of the sessions here, but please don’t sign up for your sessions until you have registered. • You pick the sessions (Best Practices, Mindset, Race Day) that apply most to your needs and situation. Each can be attended individually, or they can be combined. • After you register, please head here to sign up for the time slot that works best for you. • To participate in the session, you can either listen via phone or use your computer (and camera, if you’d like). Totally up to you if you want to be seen or just be heard. • To participate in the session, you can either listen via phone or use your computer (and video option). Totally up to you if you want to be seen or just be heard. What if I want to attend a session but the dates you currently have don’t work for me? Be patient (typed with a smile). 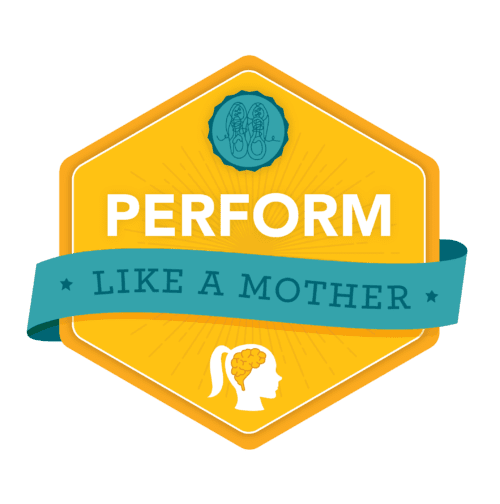 We are just launching Perform Like a Mother and plan on having more sessions, especially as we head into the fall race season. We are limiting them to five women at a time, so you’ll be sure to get your individual questions answered, but won’t feel too overwhelmed by the group size. We need to have at least three women in each session to hold it; if we are unable to fill it, we will reschedule with you or refund your registration fee. Should I attend one, two, or three sessions? It really depends on your goals and your situation. Three sessions makes a comprehensive package from training plan start to finish line, but each session has plenty of helpful, action-able information that will change your perspective on and give you mental skills tools for your running. We’ll work with you to find another date, transfer to another session, or give you credit in the TLAM Club. If that doesn’t work, we’ll grab all the details of your questions, ask them during the webinar, and share it with you post-session.